Boat is on Page 8: 15 january 2007 called: "Drop dead gorgeous Ex 45ft Admirality Fast Launch"
A name dgray Senior Member is written. Does anybody know the history of this interesting boat (yacht conversion)? Unfortunally I do not know how to enclose pictures. 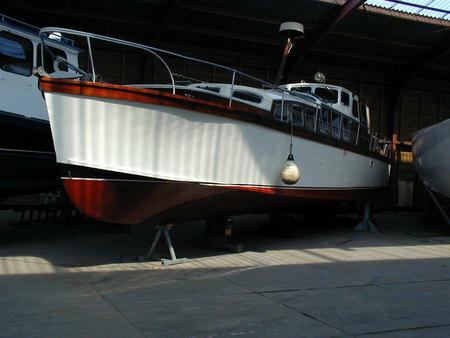 I meant the 45' Ex Admirality Fast Launch; photo taken somewhere in Holland on shore, in a hall.